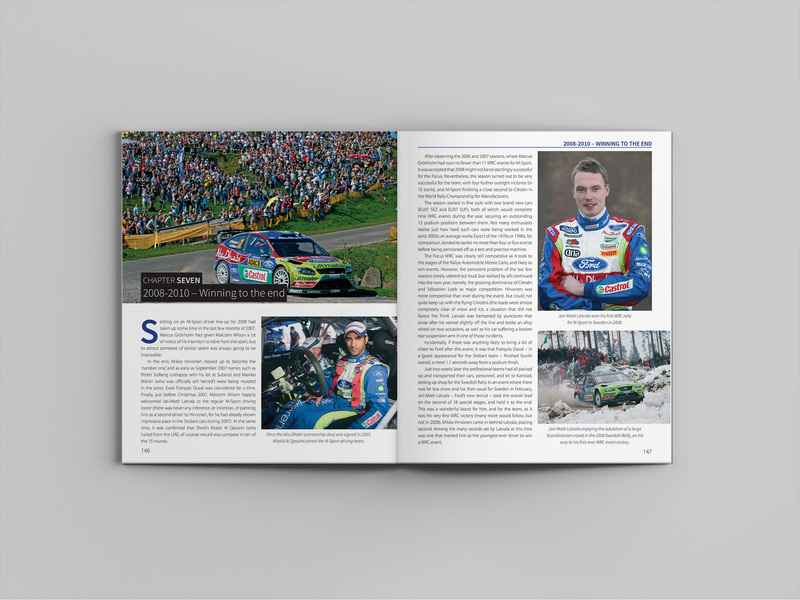 The story of the 97 Ford Focus WRC cars during their 12-year rallying career; there were 44 World Championship victories, and the team won the World Rally Manufacturers’ Championship. Drivers included Colin McRae, Carlos Sainz, Marcus Grönholm and Mikko Hirvonen, with sponsors including Martini, BP (and Castrol), and the state of Abu Dhabi. 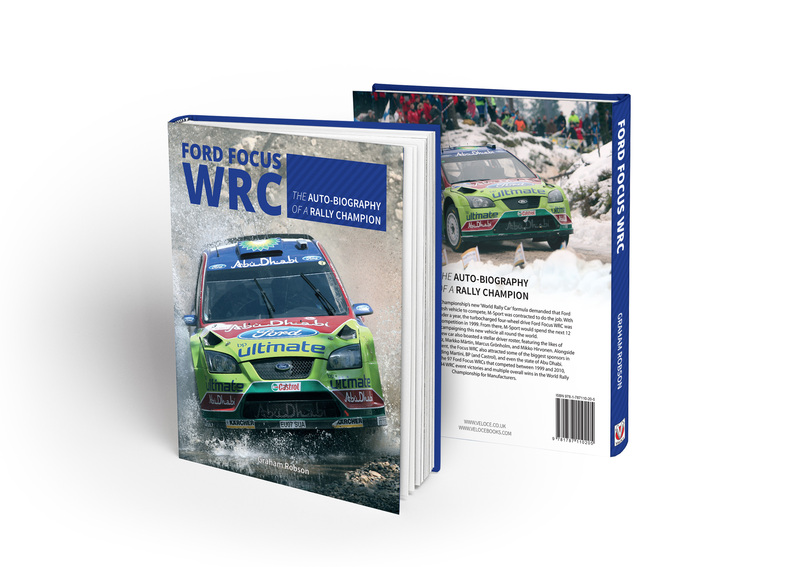 Ford Focus WRC – The auto-biography of a rally champion will be published by Veloce in September 2017. 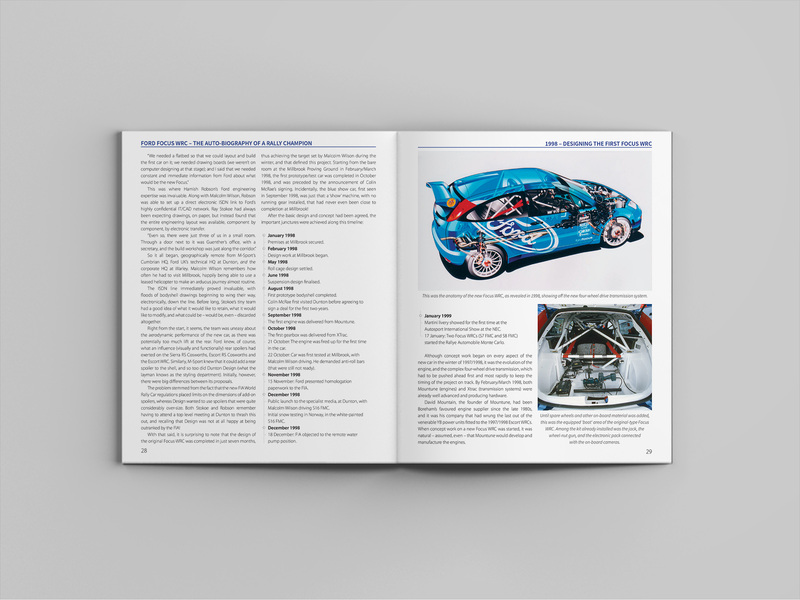 I was responsible for many aspects of the publishing process on this title, including designing the initial layout proposals, editing the author’s manuscript, designing a book cover, and creating the final layout.